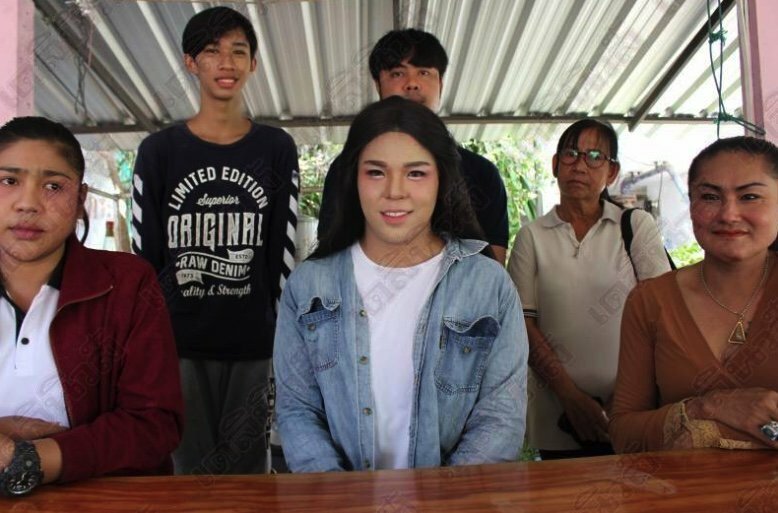 Thai social media went ballistic at a man who turned up at an army conscription event in a wig and silicone falsies then boasted about dodging the draft online. Charnchai Sasopha was forced to apologize to society but insisted that he was really a lady boy. And he'd worked in Pattaya as a transgender for years. 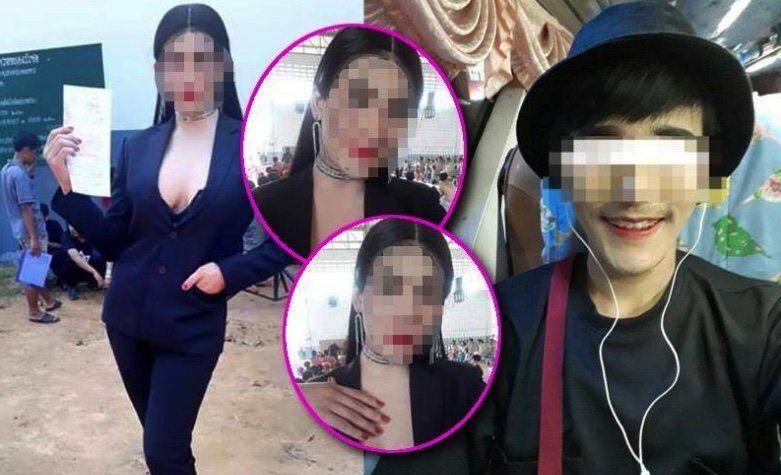 Netizens slammed what they saw as a draft dodger after he wore a wig and imitation breasts made of silicone at the selection process in Kao Liaw district of Nakorn Sawan in Thailand's central north area. He was very proud to get through and never faced the dreaded drawing of the red and black cards as he was deemed a transgender. Later he told Daily News that he really was a lady boy and was sorry for all the fuss he had caused. He said he was just being "girly and impetuous with his online posts, na kha". He said he couldn't wear his hair long because that was not allowed at his job in "shows in Pattaya". Patrathorn Nutchamon backed him up saying that he was a member of a lady boy society. Charnchai said he would have the operation to change gender one day. Taiwan's last draftees ended service late last year, and Taiwan has a substantial threat. What great threat is out there where Thailand needs its lady boys to take up arms ? Just imagining a ladyboy conscript saying 'but i don't want to touch your gun general, it's dirty'. Sure and It's been going on for 30+ years that I'm aware of, but some years back the 'fee' (different fee in different locations) was maybe 3 to 5,000Baht. Or General says, Bring me another conscript, this ones split. I feel for Thai guys, having to grow a pair upstairs as well as down to qualify as "ladyboys" and dodge the draft. In the progressive UK any guy who wishes will soon able to do legally self-identify as a woman without having to undergo surgery or even medical treatment. The same right extends to women under proposed new trans-friendly "equality" laws. "Adults will be able to change their birth certificates at will without a doctor’s diagnosis, while non-binary gender people will be able to record their gender as 'X'”, according to the Independent newspaper. If only this legislation had been on the books in the Fifties when I was called up for my National Service. Avoiding the line of duty in those days involved the indignity of pleading flat feet or piles! Great way to get around overstays & blacklisting. Voters who vote for the wrong party. My son already knows that I will break his leg on conscription day. Based on the insecurity I witness in Thai people(men especially) driving and general interactions I suspect that a lady boy in military would be bullied horribly. Ridiculous state of affairs, Id identify them as idiots, what next, I identify as a "Turnip"